Highway 100 was inspired by Germany’s autobahns. Civil Engineer Carl Graeser (1875-1944) came to the U.S. from Germany to avoid the draft during World War I. He had a German Shepard named Blitz (‘lightning’ in German) and a wooden leg. 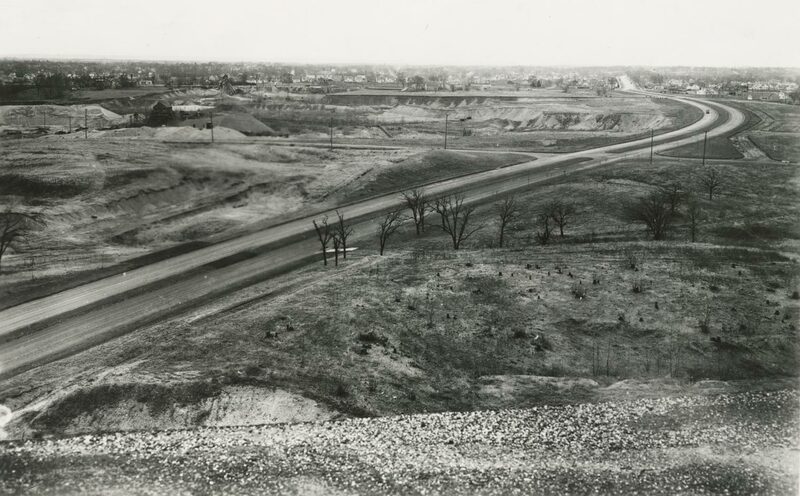 While working for the Minnesota Department of Highways, he envisioned a ‘Belt Line’ highway — a 66-mile road that circled Minneapolis/St. Paul, patterned after the autobahns of his homeland. 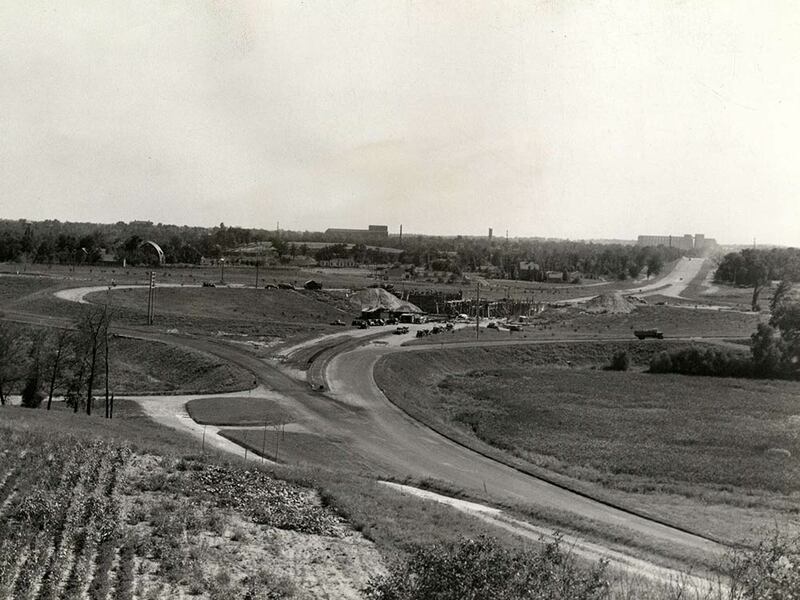 Lilac Way was the ‘Showcase’ section of that Belt Line highway. He prevailed upon Governor Floyd B. Olson directly for a half million dollars of federal Works Progress Administration (WPA) money, and supervised much of the work himself. 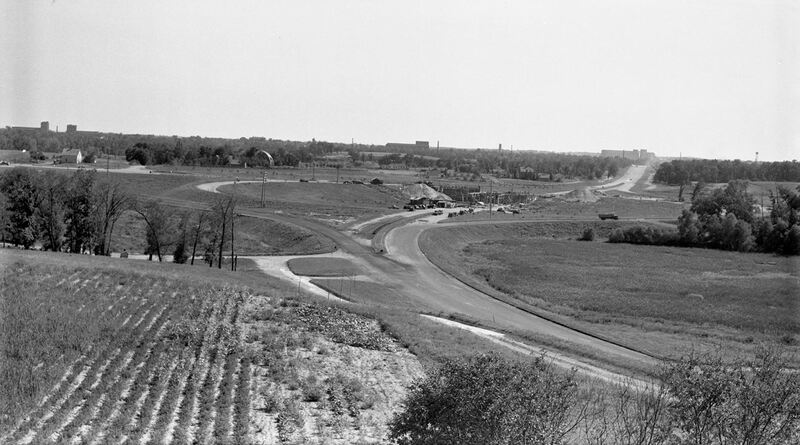 The Belt Line was a joint venture between the Works Progress Administration (WPA) and the Minnesota Highway Department. A 12.5 mile stretch of Highway 100 Lilac Way was the ‘Showcase’ section of his Belt Line. Now known as the “Father of the Belt Line”, he was a visionary in highway engineering. The cloverleafs were the answer of modern engineering to the demand for fast, yet safe crossings. Cloverleafs were built at three of the busiest intersections: Highways 55, 12 and 7. Cloverleaf design improved traffic flow and reduced congestion. 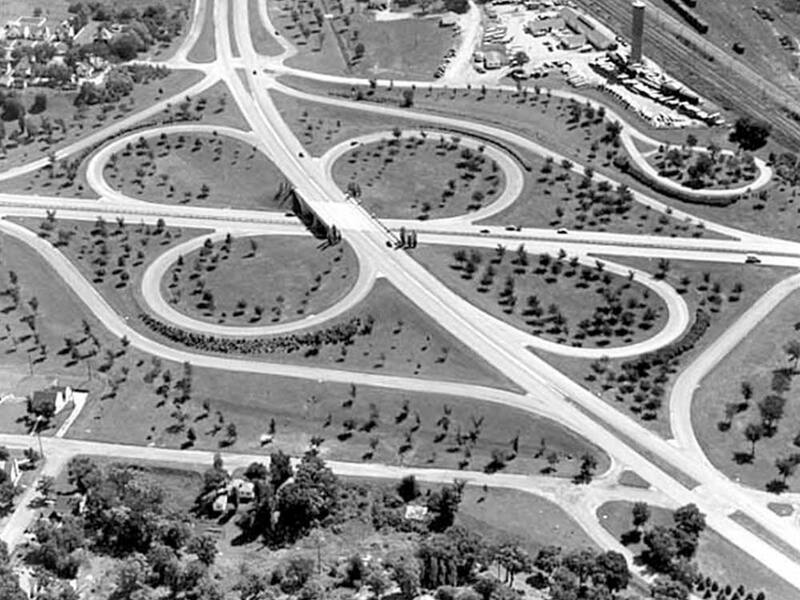 The idea was so new, that Henry R. Grove, who grew up in the area during the 1930s, said “When our farmer relatives would come up to Minneapolis, we would take them down and show them this cloverleaf. 1937. North approach to Wayzata Blvd. 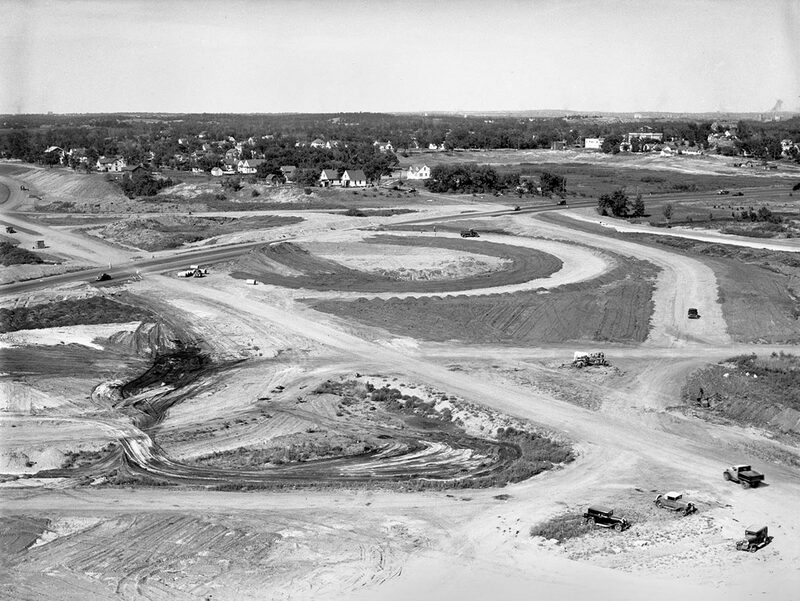 cloverleaf intersection under construction. Each of three cloverleafs cost $65,000 in 1935. Adjusted for inflation, that is comparable to more than $1,100,000 in today’s dollars. Graeser Park in Robbinsdale was named for Carl Graeser. 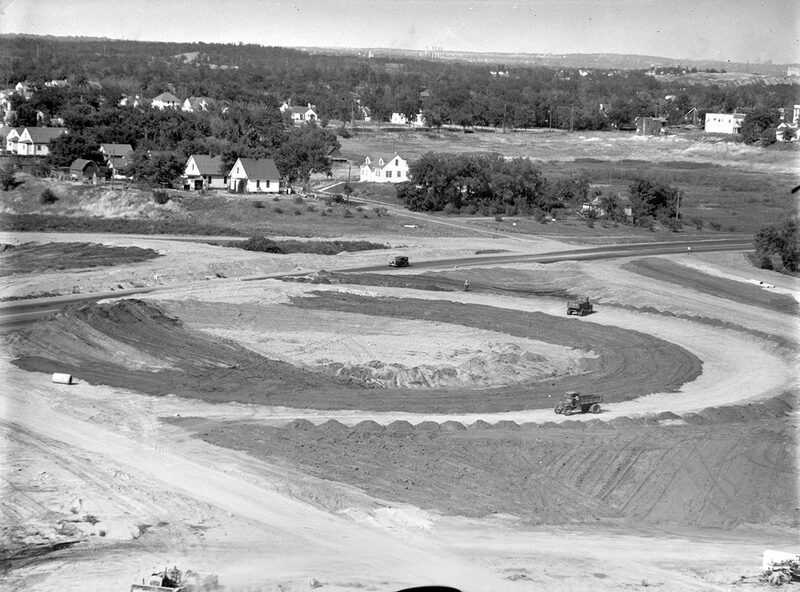 Dedicated in 1939, it was Lilac Way’s largest roadside park. He supervised the building of Graeser Park while living at 4225 Unity Avenue North. 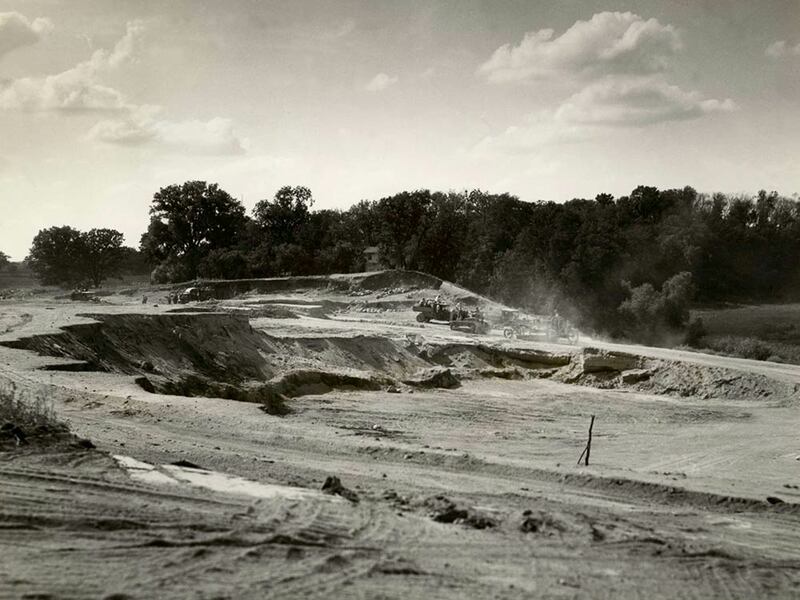 The park reflects the naturalistic landscaping and rustic architecture that characterized WPA-built roadside parks. What is a German autobahn? Here’s a nifty Autobahn infographic. “Carl Graeser was a bachelor, and as such, did have a social life. On one occasion he was parked under one of the new overpasses over Highway 100, with a lady friend. Apparently someone saw him there.